If you're looking for some great food ideas for the Super Bowl this weekend, I've got you covered! We all know it's only about the food. ;) And if you don't watch the Super Bowl, all of these recipes make great party food ideas and are perfect for a crowd! 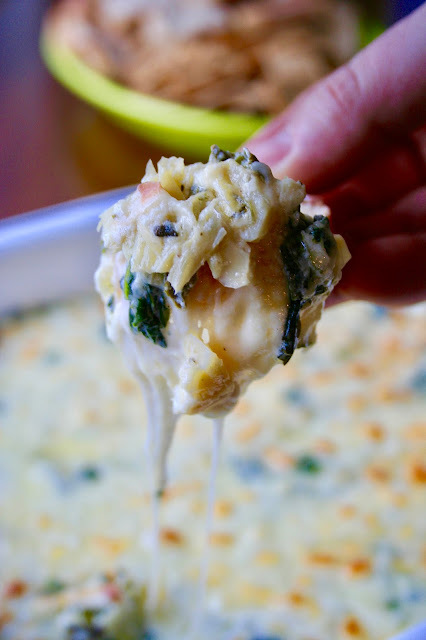 Cheesy Spinach Artichoke Dip - I don't anything screams party food more than some spinach artichoke dip! No one can resist that gooey cheese and you can pair it with anything from crackers to bread to veggies to tortilla chips. 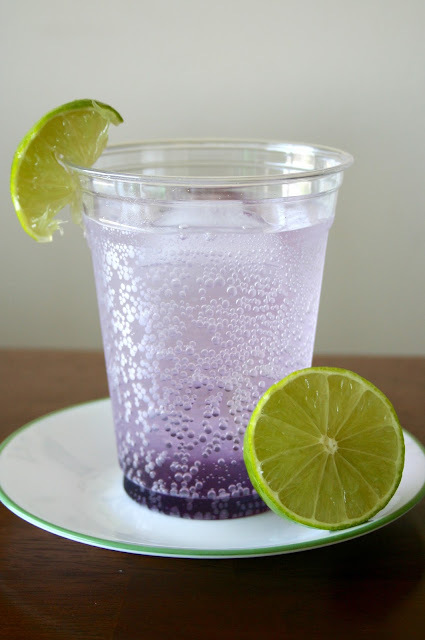 You've got to try this one! Italian Parmesan Chex Mix - If you're going to watch the Super Bowl, you've got to have something that's easy to snack on. 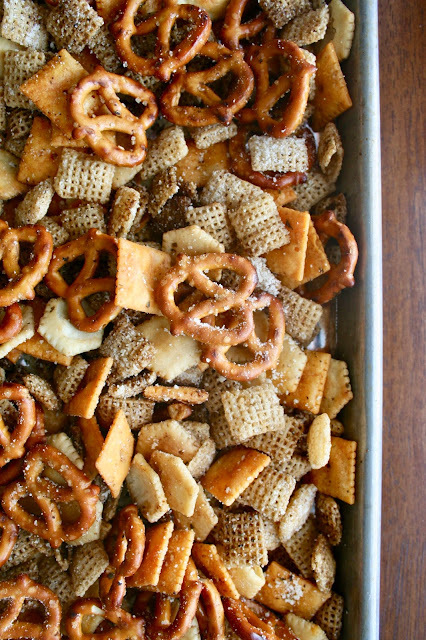 Your friends and family won't be able to resist munching on this yummy Chex mix. 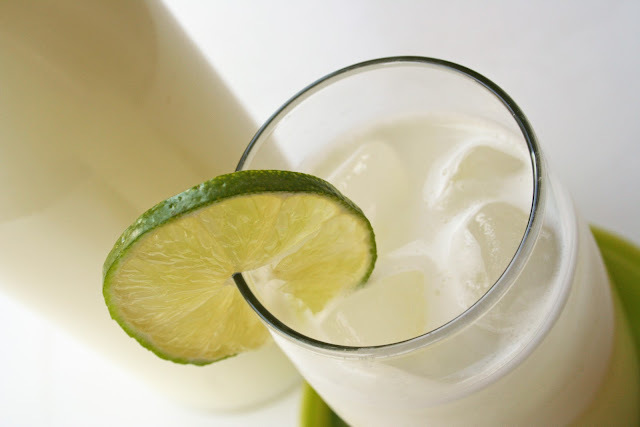 So much flavor and so easy to make! 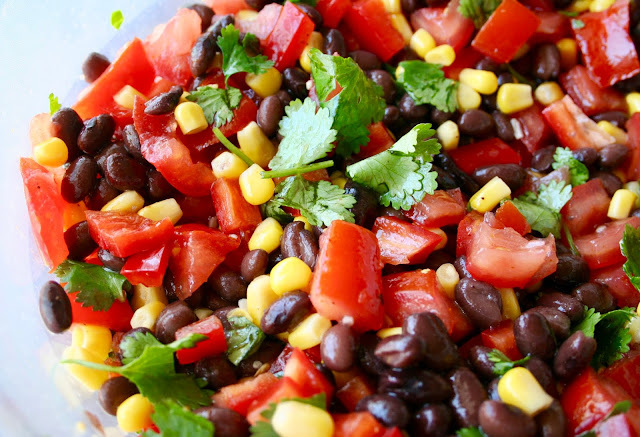 Black Bean Caviar - Everyone loves chips and salsa and this black bean dip is not only flavorful, but it's healthy, too! It doesn't call for store-bought dressing like most recipes and that's what makes it so good. 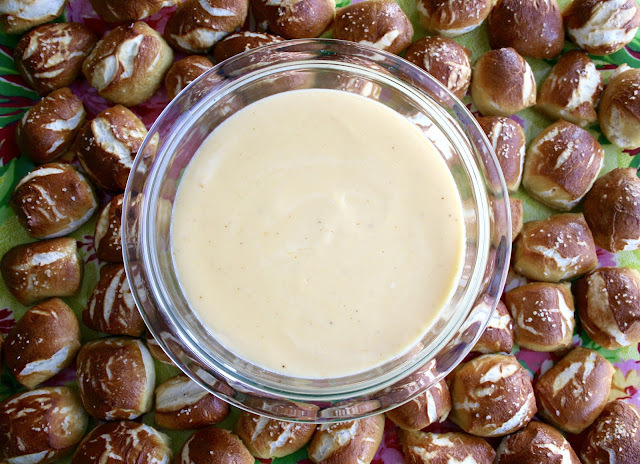 Soft Pretzel Bites with Homemade Cheese Sauce - If you really want to wow your friends and family then you have to make these pretzel bites! They take a little bit of time, but they are so fun to make and everyone will love the cheese sauce. 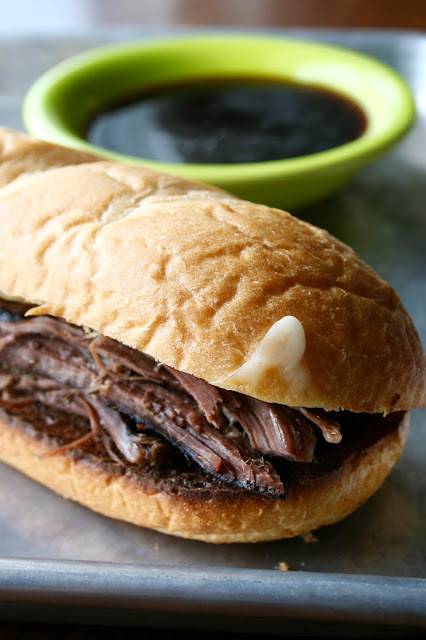 Slow Cooker French Dip Sandwiches - Everyone knows you can't live on appetizers alone so these sandwiches make the perfect main dish for a party! The meat is so tender and delicious and it's the best way to feed a crowd. 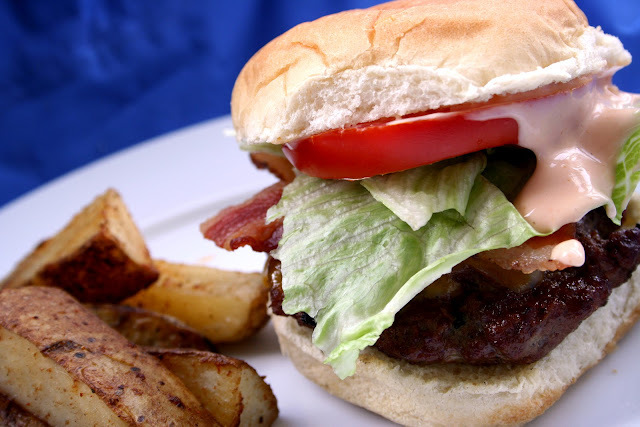 Monterey Jack BBQ Burgers with In-N-Out Sauce - If you want a surefire way to please a crowd than you need to make these burgers! So many great toppings and you can't beat the copycat In-N-Out sauce. 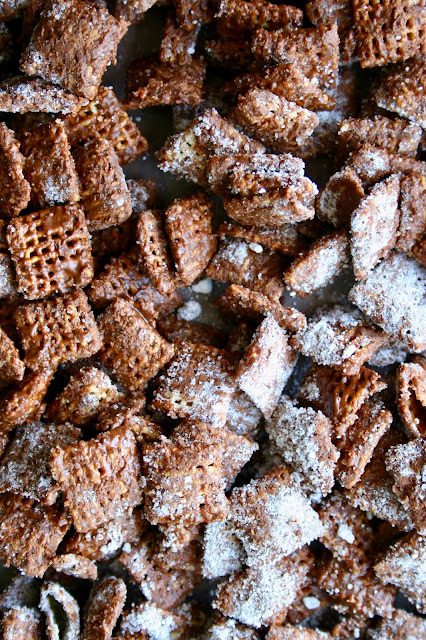 Chocolatey Churro Chex Mix - This was one of those recipes I came up with that I wasn't sure if it would work out, but oh man it definitely did! If you want a great treat for your party than this is the perfect one for everybody to munch on. Toasted S'mores Rice Krispies Treats - If you've been missing your daily summer s'more, then you have to make these amazing rice krispies treats! 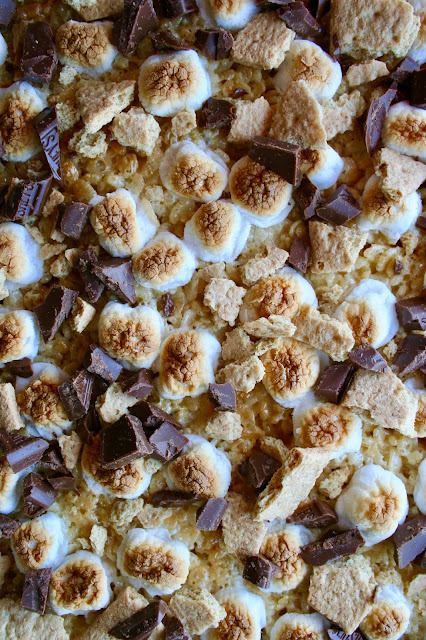 It's basically like having a campfire s'more on top of everyone's favorite cereal treat. Your friends and family will love them! Carmelitas - Everyone knows how amazing Carmelitas are and last year when I made these for the Super Bowl they were a major hit! 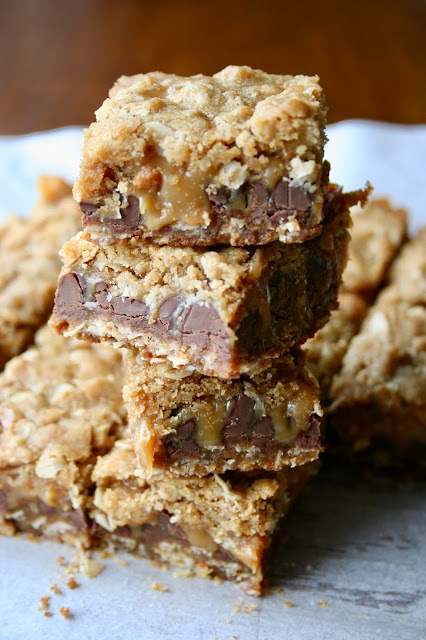 That gooey caramel and chocolate sandwiched between the oatmeal dough...I mean come on!